You can still set your desired PSI level and it will still automatically shut off when it reaches that level. However the dial does not show you where it is at while inflating the board like the two-stage pump does. The first time I used this pump I found it vaguely annoying that I could not tell how far along the inflation process was because I was used to watching it on the other pump. However truthfully it doesn’t really matter. Just attach the hose, set the PSI level, let it do its job and it will shut off when done. You really don’t need to watch it go from 2 PSI to 3 PSI to 6 PSI and so on. You can set the PSI level up to 14.5 PSI, which is what I always inflate my boards to. A carry case with shoulder strap and all the proper valve attachments. An 8’6″ long cable with alligator clips and a 6′ long inflation hose. 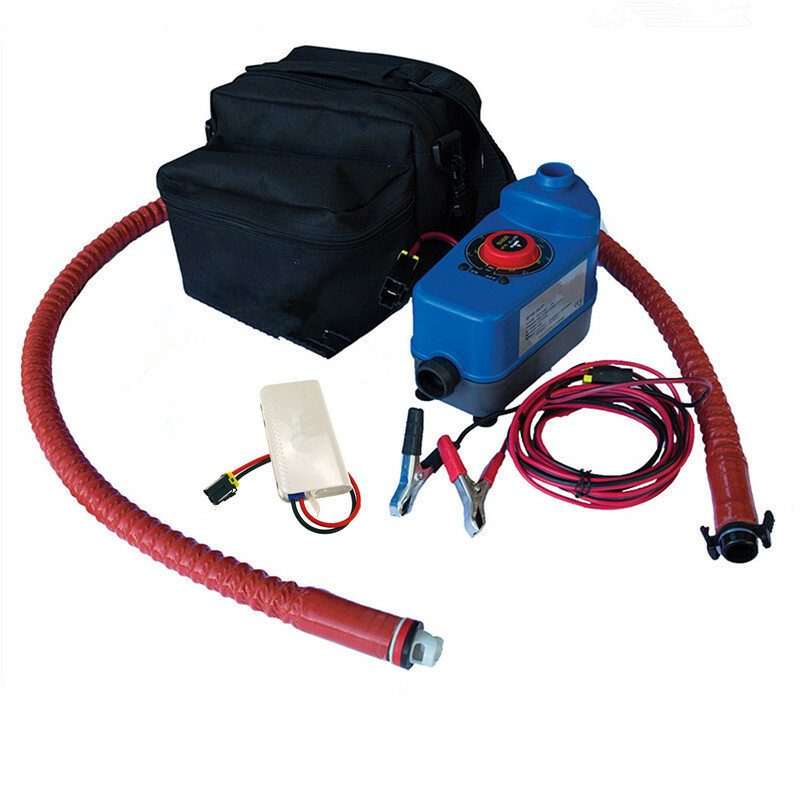 A lithium battery pack,it’s can guarantee your pump be used anywhere.